When one thinks of Jacksonville Jaguars head coach Jack Del Rio, what comes to mind a lot is his conservative – and questionable at times – play calling. Sometimes it works and sometimes it bites the team in the posterior. Nevertheless, the Indianapolis Colts came into Jacksonville Sunday to take on the Jaguars in which on paper would heavily favor the Colts. Note that I said would. Nonetheless, David Garrard squashed that theory as he rallied the Jaguars late in the fourth quarter with Josh Scobee connecting on the game-winning 59-yard (see where 59 fits in?) field goal, allowing Jacksonville to nip Indianapolis 31-28 and rise to the .500 mark. The Colts, in a rarity, seemed to have trouble holding onto the ball as tight end Brody Eldridge dropped the ball near the goal line which Jaguars defensive end Anthony Smith grabbed and returned to midfield. Also factor in that usually reliable Reggie Wayne fumbled in the third quarter. Yet despite the miscues, Colts QB Peyton Manning managed to nearly send the game into overtime as he tossed a 1-yard pass to wide receiver Austin Collie, tying the game at 28-all. 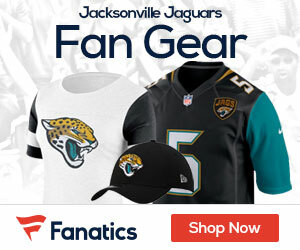 But Garrard, in contrast to last week when he couldn’t do much right, rallied the Jaguars a she connected with Tiquan Underwood on a 22-yard pattern pass, which put Jacksonville in range for a long field goal attempt. Garrard nearly turned the ball over to Indianapolis as he floated a pass to the far sideline. The ball nearly landed in the hands of Colts CB Kelvin Hayden, but Underwood had the presence of mind to break up the pass. Jaguars would then opt to send out Scobee and he would not disappoint, connecting on a franchise-record 59-yard FG, sending the Colts to 2-2 and the crowd at EverBank Field home deliriously happy. Garrard, on a numbers basis, was just OK as he went 17-for-22 for 163 yards with 2 TDs and rushing for 44 yards and a score while Manning had a decent game, going 33-of-46 for 352 yards with a pair of TDs and an interception. The Jaguars rushing attack exposed the Colts’ offensive line yet again as Maurice Jones-Drew ran for 105 yards and a TD while catching 2 passes for 16 yards and a score. The Colts were led by Joseph Addai with 16 carries for 63 yards and 2 TDs. Mike Thomas led all Jaguars with 5 receptions for 68 yards while Underwood caught 3 for 41 yards. Wayne led all Colts receivers with 15 receptions for 198 yards while Dallas Clark caught 7 passes for 68 yards and a score. Jacksonville (2-2) looks to build momentum as they jet to Buffalo to take on the Bills next Sunday while Indianapolis (2-2) returns to the friendly confines of Lucas Oil Stadium to host the Kansas City Chiefs – also next Sunday.